The first thing you notice when you see the images of the larvae are those giant stalked eyes protruding from their heads. The eyes, which appear to be well developed in the larvae, are one of the most remarkable adaptations of the adult stomatopod. Unlike mammals and cephalopods, which have a camera like eye (single lens projecting an image onto a retina), stomatopods have a highly specialized compound eye, and each eye often moves independently from the other. They also have 12 visual pigments, giving them a huge range of detectable wavelengths, from infra-red to ultraviolet – much more than other invertebrates (Land & Nilsson 2012). In comaprison, humans only have three visual pigments (red, green, and blue), and the stomatopods can even detect different types of polarized light. Have you ever heard of circular polarized light? Well, they can see that too! The males have certain parts of the body can reflect circular polarized light in both right and left hand directions. The band across each eye has 4 rows of ommatidia that can see in color, and two rows (one on each end) detect polarized light (Chiou et al. 2008). Another impressive thing about stomatopods is their method of capturing prey. 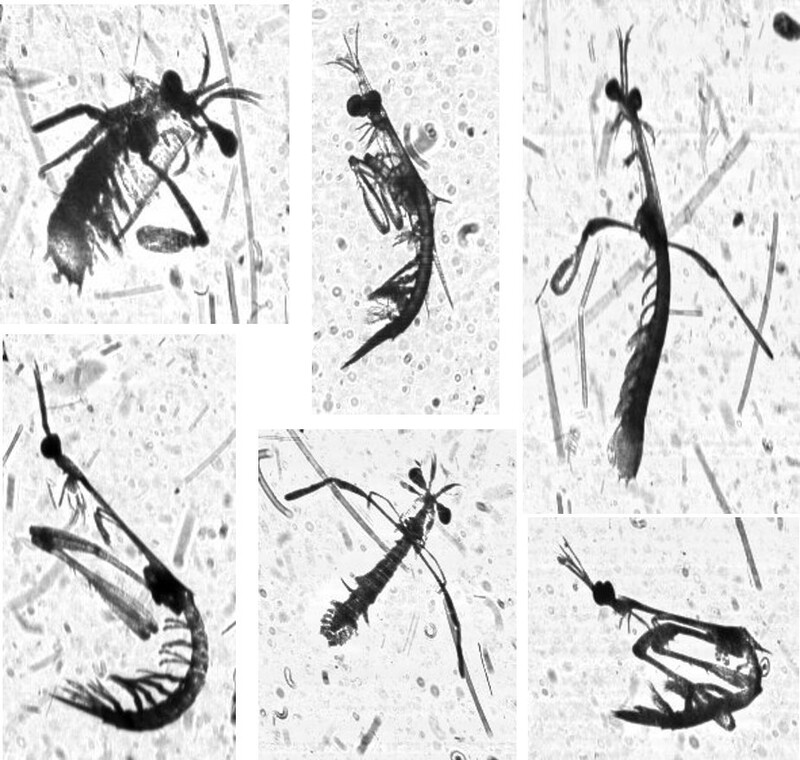 Different species of stomatopods use one of two different attack methods: smashing and spearing. You can tell what method it uses based on the morphology of the stomatopod appendages. The smashers have clubbed appendages that they flick outwards to smash their prey, and the spearers have pointy appendages that they can use to puncture their prey. The force created by these attacks is extremely powerful for their size. In fact, the movement of the appendages is so quick that it generates a large cavitation bubble. The phenomenon of cavitation happens when something in the water moves so fast that an empty space is created that the water cannot fill quickly enough. When a boat propeller rotates at a fast rate, it generates tiny cavitation bubbles. It is quite rare for an animal as small as the stomatopod to generate enough force to cause cavitation. A great read. 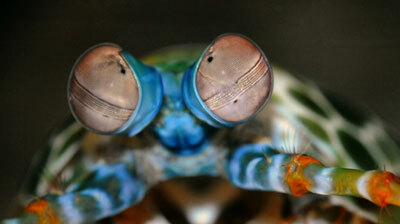 Mantis shrimp are the weirdest (and scariest). I hear that it’s hard to keep them in captivity because they’re strong enough to break glass, I believe. So the tank to culture them has to be very hard, or it can not be cultured inside a glass tank?